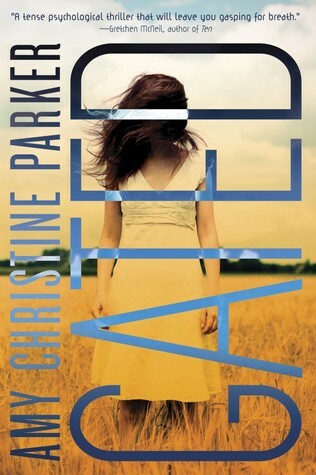 Gated by Amy Christine Parker – When I first saw this novel’s hardcover image, I thought it was a story about zombies. Then I mentioned on Twitter that I’m fascinated by cults, and my friend Kristen recommended Gated. It’s a compelling look into zealotism and dynamic leaders and group-think, and it’s terrifying because it’s fiction based on troubling cases that’ve taken place in the real world. I found MC Lyla’s journey engrossing, and I thought Gated‘s pacing was fantastic. The ending, especially, was a trip. Check it out if you like books with unusual contemporary settings or if, like me, you find cults captivating. 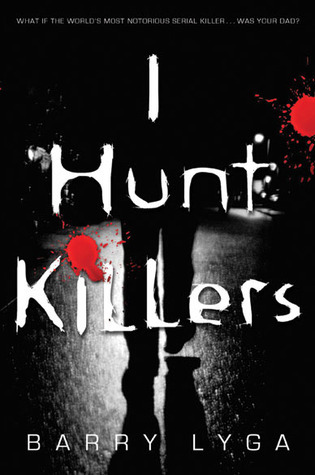 I Hunt Killers by Barry Lyga – This book was SO COOL. I put off buying it for a long time because, while I’d heard it was Dexter for the YA set, I didn’t believe Barry Lyga would take Killers to the levels of gruesome and gritty and disturbing Dexter attained. But, he did and his story’s incredible as a result. MC Jazz is complex and tragic (worst childhood ever — seriously), but he’s also super smart and darkly funny, and he wants so badly to be normal — nothing like his father, the most notorious serial killer America’s ever seen. Jazz’s friends are awesome too. Howie is hilarious and Connie is badass and, along with Jazz, they make a fantastic mystery-solving, crime-fighting trio. One of the most interesting aspects of this novel was Jazz’s bond with small-town sheriff, G. William Tanner. He’s the man who put Jazz’s Dear Old Dad behind bars, but he becomes something of a father figure to Jazz. Watching their relationship unfold and deepen was riveting and incredibly satisfying. Big recommend! 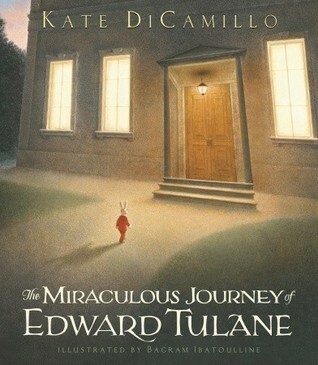 The Miraculous Journey of Edward Tulane by Kate DiCamillo – A reread for me, because I wanted to share this gorgeous middle grade novel with my daughter. Once again, the final pages gave me chills. Edward Tulane‘s themes of giving and accepting love are relayed with such nuance, and main character Edward, a ceramic rabbit who likes fine clothing (yes), is so compelling. This book’s chapters are short and its language is accessible, but the story is so profound. If you’ve got kiddos, I recommend reading Edward Tulane with them. 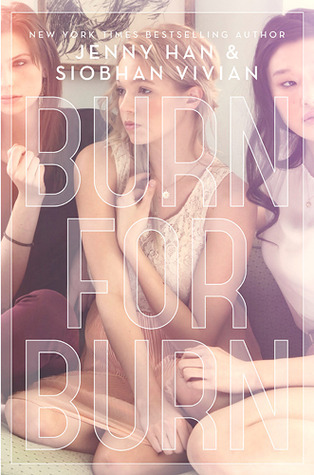 Burn For Burn and Fire With Fire by Jenny Han and Siobhan Vivian – Okay. How are these books not getting all the hype? I mean, some people are talking about them and they have awesome Goodreads ratings, but they’re not getting nearly the exposure they deserve. These books are aMaZiNg. 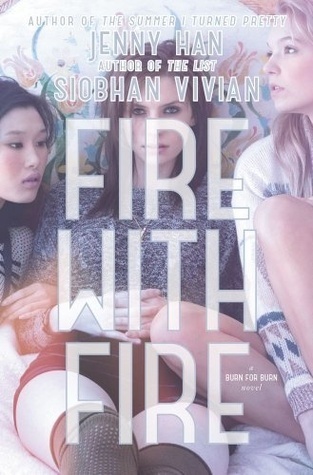 I’m an unapologetic Jenny Han fangirl and I think Siobhan Vivian’s The List is fantastic, but I was in no way prepared for the awesomeness that is the Burn For Burn series. The plotting is tight, the writing is seamless, the voices are genuine, and the characters… I feel like Kat, Lillia, and Mary are are my friends — that’s how well I’ve gotten to know them. These books are full of bitterness and revenge and unrequited love and lasting friendship; they have a large, dynamic cast (Lillia and Reeve are my favorites!) and a twisty, jaw-dropping storyline. I HIGHLY recommend them. Read Burn For Burn and Fire With Fire back-to-back before Ashes to Ashes comes out September 16th. I can’t wait! Oh I love Burn for Burn/ Fire With Fire !! and Gated!!! If you liked Gated, pick up Elisa Nader’s Escape from Eden. It’s also a YA cult book but set in a different country than America. I really liked it (and Kirkus gave it a star which we all know is crazy unusual) – I really liked that there was a twist I didn’t see coming. My friend July read was THE SUMMER I LEARNED TO FLY, an MG by Dana Reinhardt. 🙂 I’m also loving but not done w/ SALVAGE by Alexandra Duncan. I’ll check out ESCAPE FROM EDEN. It definitely sounds like something I’d be into. Thanks, Rachel! I can’t possibly pick between Since You’ve Been Gone, Complicit, and this fabulous CP read I just finished. 🙂 Also, I have had I HUNT KILLERS on my shelf for THREE years. Clearly, I need to bump that up the TBR. I love Barry Lyga! Oh, you are too kind! I loved COMPLICIT too, and I’ve got SYBG sitting in my TBR pile — can’t wait to pick it up! Also, I think you’ll really like I HUNT KILLERS. It’s an awesome guy POV book. Have a great one, lady! 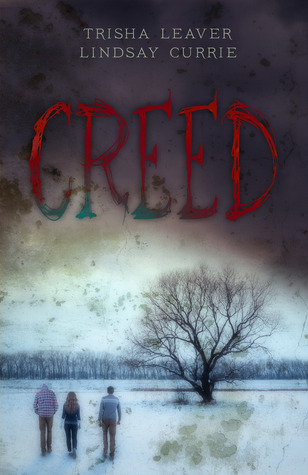 CREED sounds awesome–adding it to my TBR pile! My favorite July book is one I’m just about to finish if I can get some reading time tonight… TIME BETWEEN US by Tamara Ireland Stone. I had been meaning to pick it up for a while and I am so glad I finally did. It’s adorable. It’s basically what I wanted from THE TIME-TRAVELER’S WIFE but didn’t get. Oh, I loved TIME BETWEEN US! Such a fabulous romance! I’ve been meaning to pick up the sequel for awhile now… Must get on that soon! I definitely have to add GATED to my TBR-list – I am weirdly fascinated by cults, too. Thanks for the recom! I do think ASHES TO ASHES is the last. We’re halfway through the girls’ senior year, so I think it’s wrapping up. Such a fantastic series so far!